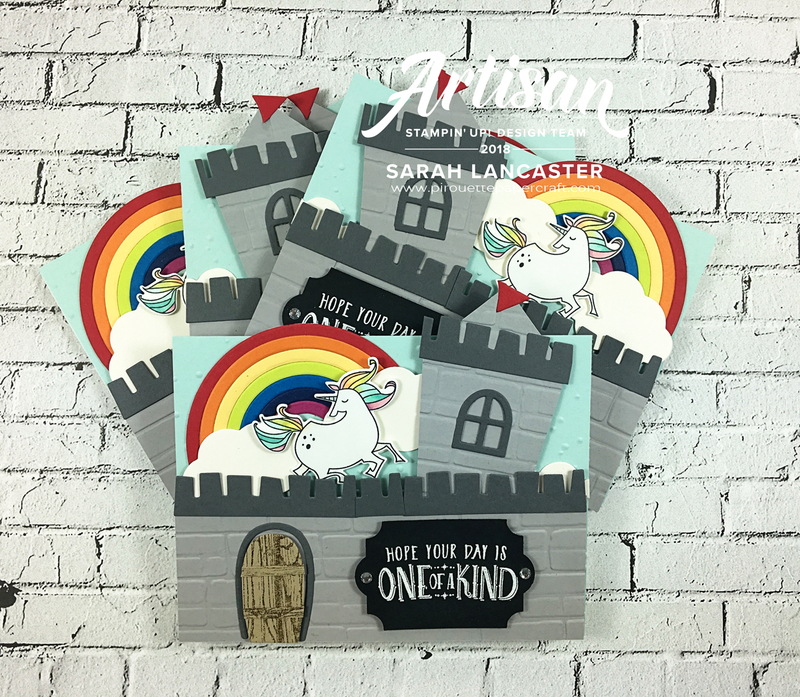 This stamp set just begs for a castle background! These are the cards that I created for my fellow Artisan Design Team members who celebrated their birthdays in January and February this year. 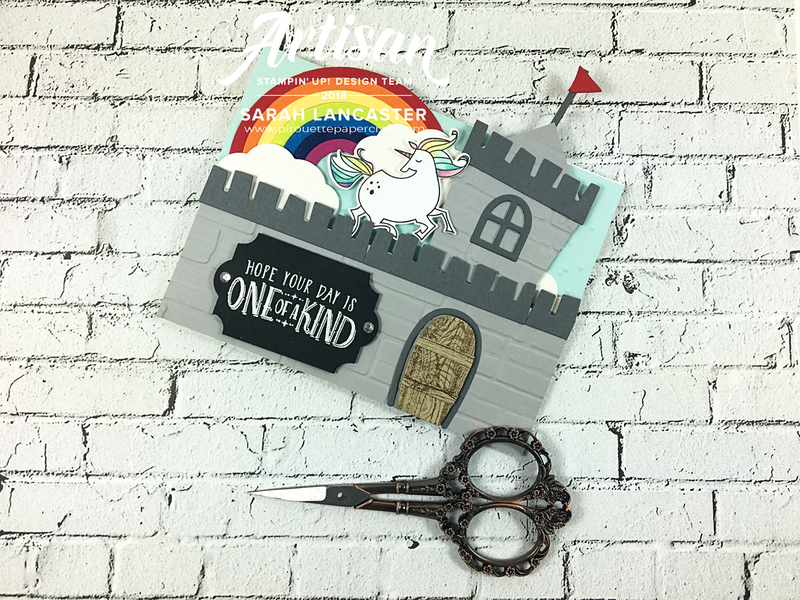 Home Sweet Home thinlits dies and the Brick Wall Textured Impressions embossing folder. And of course the Rainbow Builder framelits dies and Magical Day clear mount bundle. I combined the two sentiments from the stamp set to give a more personalised message. I will be creating something similar for my Onstage Swaps, so look out for me if you are attending the Paris event !